Welcome to Tlayuda L.A. Restaurant! We serve home-style cooking inspired by Oaxacan cuisine. Our ingredients are fresh and cooked to order. Feel free to visit our restaurant or order online. We would love to share with you our cuisine and provide the best experience from southern Mexico. 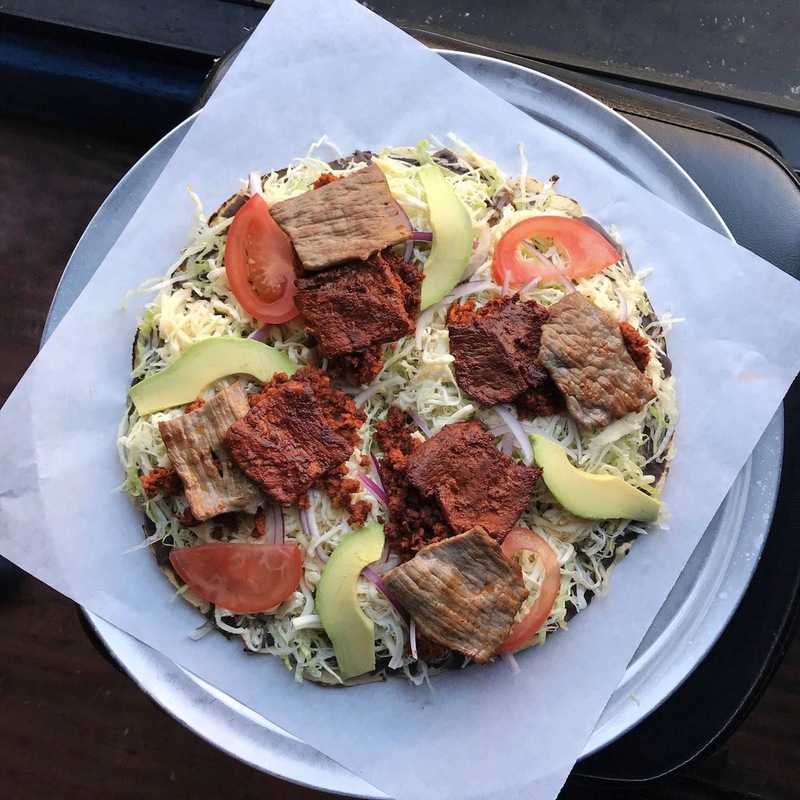 A (tlah-yoo-dah) is a large toasted tortilla, covered with spread of black bean puree, fresh lettuce, tomato, onion, avocado, Oaxacan cheese and topped with meats or vegetarian. The tlayuda can be served open face like a pizza or folded in half. Traditionally they are smeared with asiento, unrefined pork lard, though we just stick with beans at Tlayuda L.A.! Oaxacan food is based on the Mexican staples such as corn, beans and chile peppers. 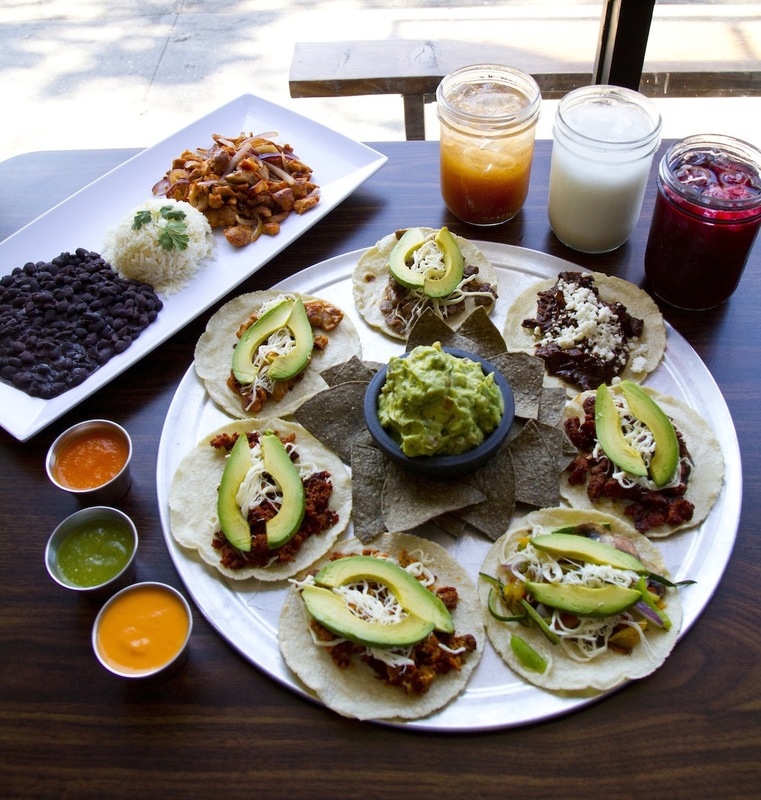 The appeal of Oaxacan cuisine comes from the variety of ingredients and unique preparation. Oaxaca cheese is one of the most notable items. They make this mozzarella-like string cheese through a complicated process involving stretching the cheese into long ribbons and rolling it up like a ball of yarn. Another popular snack and topping are chapulines which are toasted grasshoppers with a sour-spicy-salty taste of garlic, lime juice and salt. Tlayudas, Oaxacan style tamales and mole sauce are some other favorites.